Here's an ingredient we've only recently discovered: coloured rice. 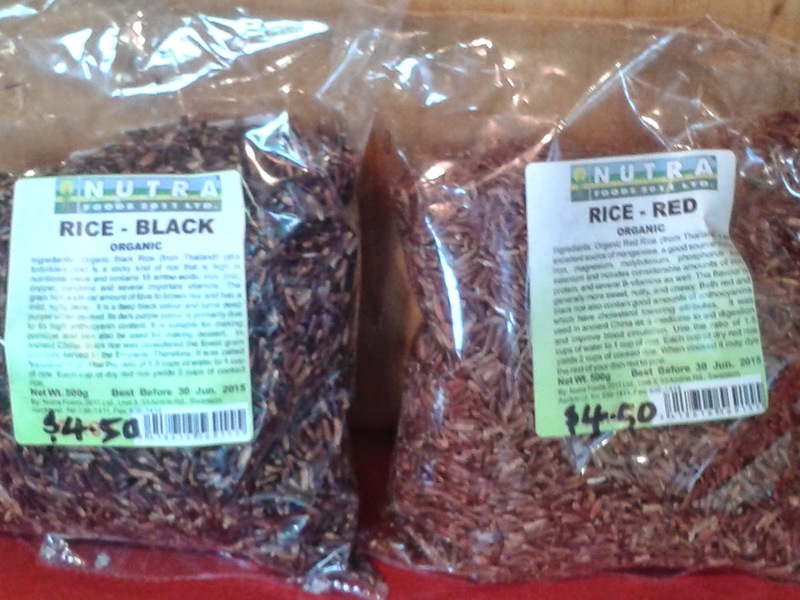 Specifically, red and black rice. These are a really great way to boost the nutrition and flavour of a rice based meal. They can be hard to find, so I don't go hunting for them, but when I see them I grab some for the pantry. Also, they are far less processed than white rice, which is what makes them so good for you, and this can push the chewiness of the rice into the "hard work" category of being good. 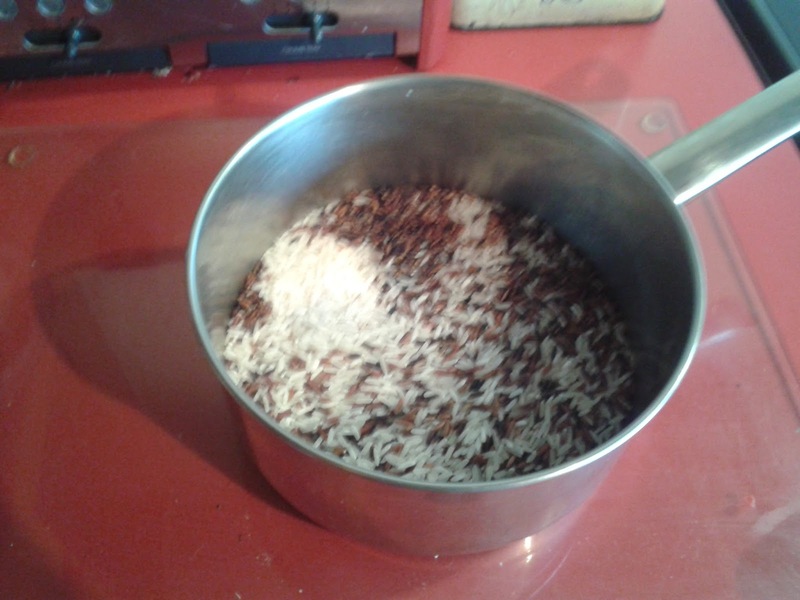 We cook red, black and white rice in 1/3's together. 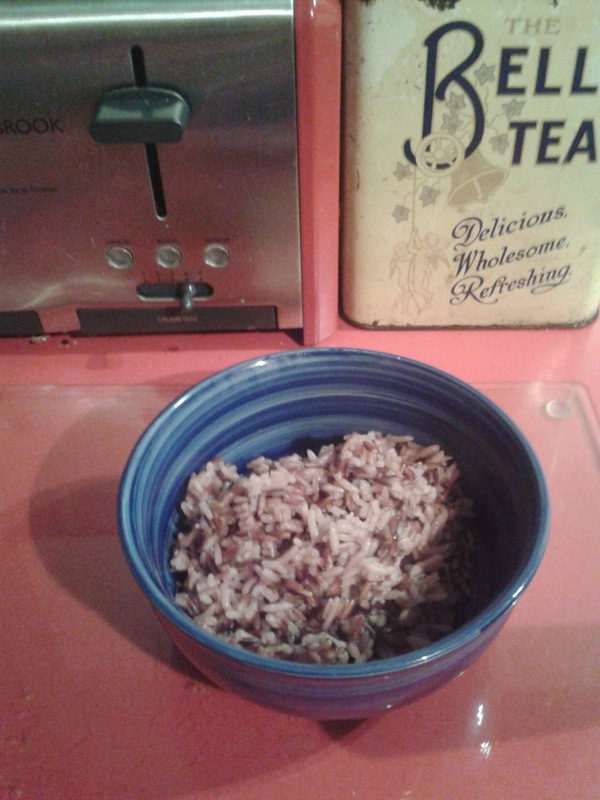 This seems to be a happy solution, isn't hard work and adds texture and nuttiness to the rice. 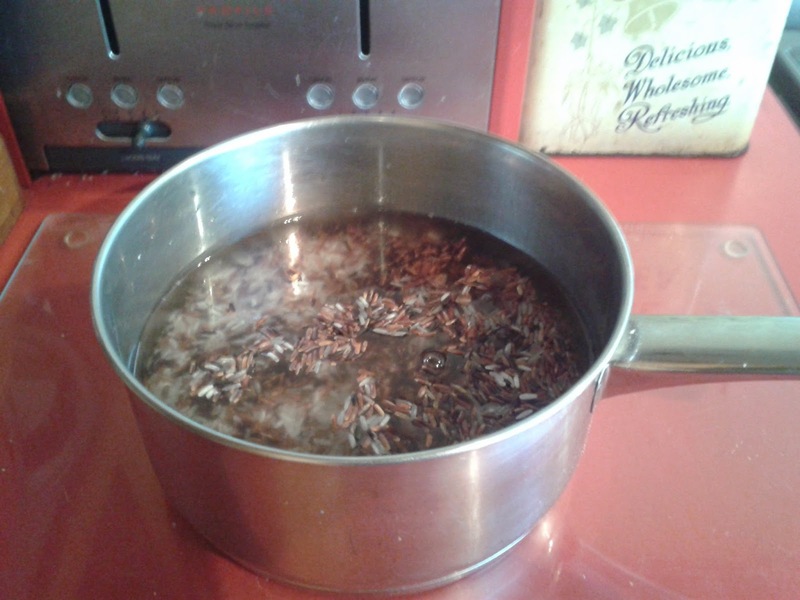 Be sure to soak the rice and rinse it before you cook it in salted water for the best results!